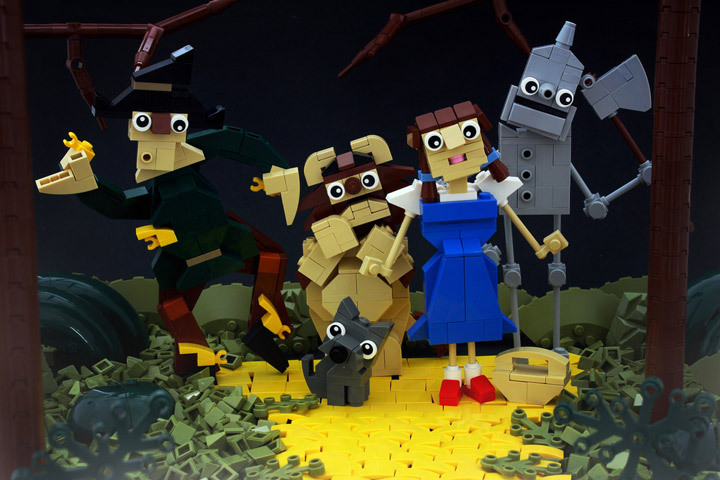 Lego and the Wizard of Oz have seen some great builds before (especially the recent project by VirtuaLUG). The fantastic setting and great characters are a perfect fit for Lego. This vignette, created by Legohaulic (Tyler), is titled: Follow the Yellow Slope Road. The project is part of an Iron Builder challenge to incorporate the yellow 1×2 curved slope into a project. The results here are marvelous. The use of the curved Lego pieces in the background make for a great forced perspective, which gives the illusion that the build is larger then it really is. Dorothy Gale, the Scarecrow, the Tin Man, the Cowardly Lion, and Toto look great. 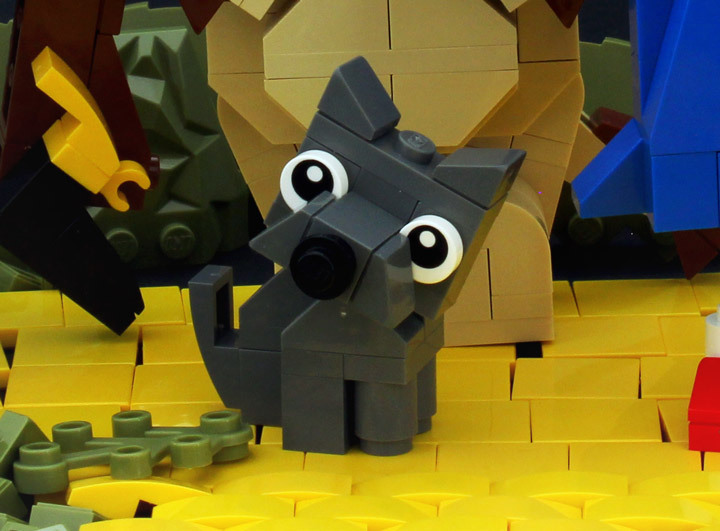 This Toto might be my favorite Lego dog ever built.